When I decided to try and buy more sustainable and ethical products, shoes instantly became a difficult topic. My feet are quite small (not usually a problem), but also wide and high, making shoe shopping not the easiest experience. My mom has always had the mindset that there are certain pieces you should invest in, because it will pay off in the end, and shoes are one of those things. Whenever I bought a cheap pair, she'd always ask when I'd finally buy a pair of 'decent shoes'. But I quickly found out that price doesn't always have to match the quality, with some of my priciest pairs from high street shoe shops sometimes breaking down after only a few months. I do a LOT of walking, especially after moving to London, so I'm always looking for a pair of boots that can hold their own. And after buying my first pairs, I couldn't be happier! First of all, the prices of the ones I have aren't as high as some of the other ethical brands, with both of my pairs being between £80-£85. Of course this isn't cheap, and if that's not something you can spend on shoes, that's totally fine! But compared to a lot of other shoe brands that I've bought in the past, the prince is pretty similar. My first pair were the Women's Work Boots in Chestnut. The colour was one of the first things that drew me to these shoes, it's so vibrant and deep. These shoes did not require any breaking in and are super, super comfy. I'm usually a 37.5, and going down to a 37 was perfect, but a 38 would probably fine with some thicker socks too. I've had these shoes for about a year and have worn them at least 5 or 6 days a week (except for some really hot weeks during the summer) and there is still hardly any wear on the outside, as you can see from the picture above. Recently the bottom of the shoes have started to come apart from part of the soles a little bit, mostly near the side of my toes, so it might be time for replacement soon if a cobbler can't help me out. The only issue with this pair is that some of the little lace rings were quite sharp by accident and I've unfortunately already gone through 3 pairs of laces in 1 year! I called Will's to see if they also sell laces, which wasn't the case, so I had to track down some similar colour ones online (as pictured in the shots above). But in general I'm so pleased with these comfy shoes and will 100% repurchase them. 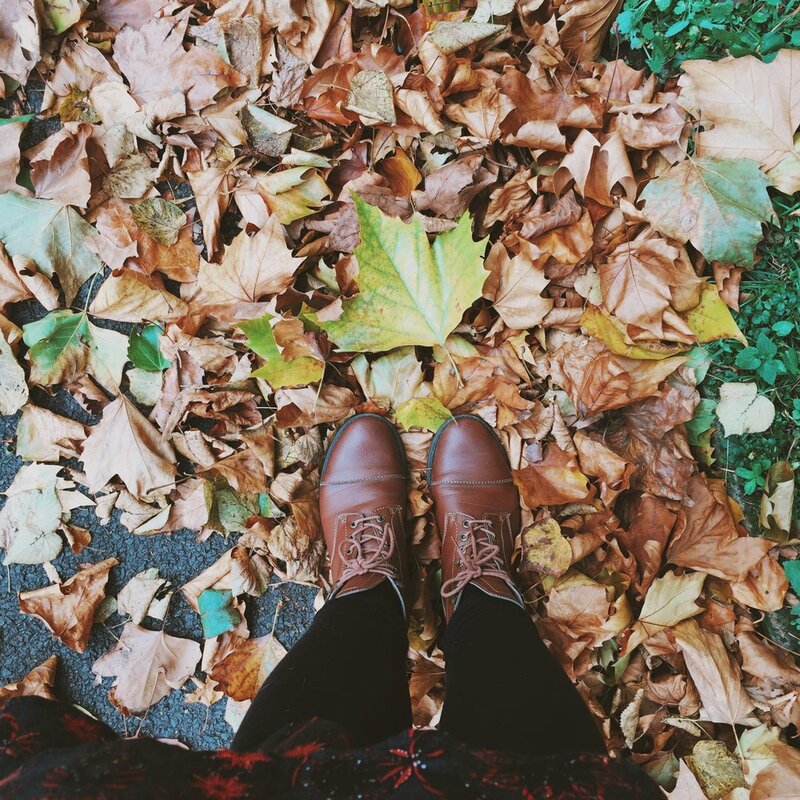 So many pictures of shoes and leaves. I can't stop myself, okay. 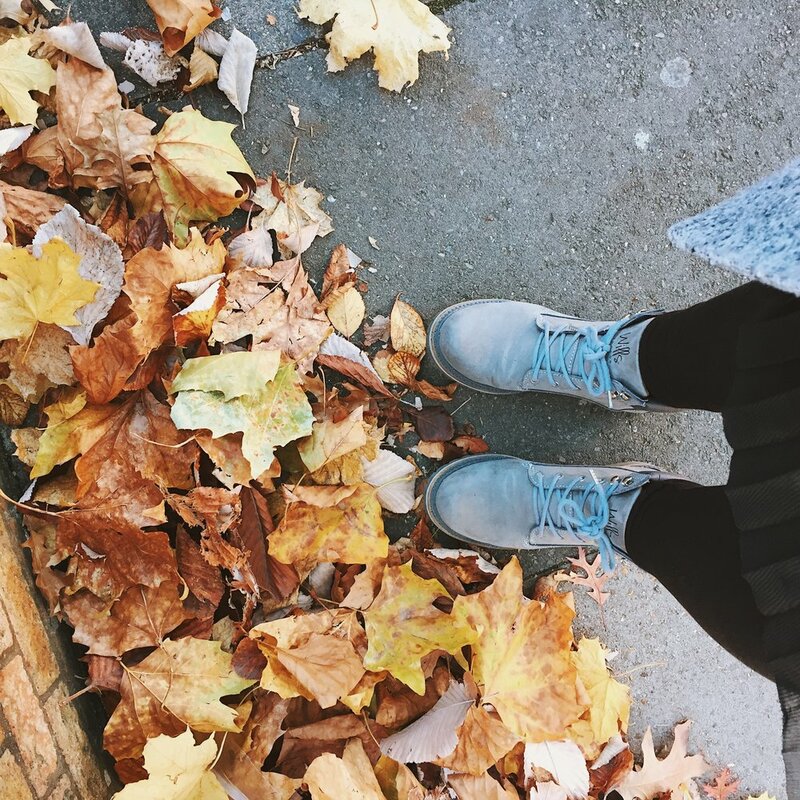 I spotted the Women's Dock Boots (in grey) on their Instagram feed (great for some inspiration!) and couldn't help but imagine myself putting on some speckled, warm socks, my grey boots and going for a Autumn forest walk. These took a little while to break in, especially in the back, but I think I've made it through. I had to go a size up, as I'm usually a half size, so if you're not sure, definitely go up with these! They're a bit more sturdy, so less forgiving on the size. These boots feel like they'll last me a fair few years, and I'm excited to see what adventures they'll take me on. I've never been the kind of person who owns 30 pairs of shoes, and I'm so happy that with these 2 staples I will definitely make it through the colder months. Will's do more than just boots, and this Summer when I was looking for some white tennis shoes, they delivered! The 'New York' trainers are comfortable and just a nice basic to combine with the selection of dresses and skirts I usually wear during the warmer months. They definitely got a bit grubby, but that's to be expected. I'm looking forward to breaking them out again next spring and giving them a good clean. So that's my vegan shoe collection! There are a few more that I have on my wish list, so I might check back in in the future. Do you have any other ethical shoe brands you like? Let me know!